Casino Euro – Daily Deals / Week 48! Get your daily deal for Free Spins, Reload Bonuses and more! Just a week to go until the first Advent Sunday 2017, Christmas is definitely close now. With the rush from Black Friday behind us, it is time to lean back and relax for a new gaming week with some awesome casino deals. 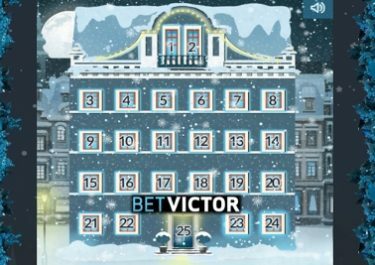 Do this at Casino Euro as with their ongoing “Daily Deal” campaign players can claim every day an offer for bonuses, Free Spins, wager rewards or tournaments every day of the week. Kick start your gaming week on Monday with 30 Free Spins on Netent’s latest quirky slot, Finn and the Swirly Spin™. Monday, 27th November 2017: Free Spins – Deposit min. €20 in a single amount to instantly receive 30 Free Spins on Finn and the Swirly Spin™. WR is 15x FS winnings within 5 days. Tuesday, 28th November 2017: Slot Mission – Hit the Free Spins feature 2x on 7 Piggies to receive 20 Free Spins on the same game, credited on Wednesday. WR is 15x FS winnings within 5 days. Wednesday, 29th November 2017: Starry Free Spins – Deposit min. €10 in a single amount to instantly receive 20 Free Spins on Starburst™. WR is 15x FS winnings within 5 days. Thursday, 30th November 2017: Slot Mission – Collect five Quantum charges in one spin on Reactoonz to receive 40 FS, credited by 17:00 CET on Friday. WR is 15x FS winnings within 5 days. Friday, 1st December 2017: Goodie Bag – Deposit min. €30 in a single amount to instantly receive 50 | 50 Free Spins on Secrets of Christmas | Holiday Season. WR is 15x FS winnings within 5 days. Saturday, 2nd December 2017: Oriental Cash Giveaway – Spin actively with cash bets on Orient Express from 15:00 – 23:00 CET to trigger one of 81 random rewards between €10 – €500, instantly credited in cash. Sunday, 3rd December 2017: Viking Mission – Reach 1x the Ragnaroek feature to receive 20 Free Spins, credited by 17:00 CET on Monday. WR is 15x FS winnings within 5 days.